Was just getting dark, I pulled that “just one more hole” right out of my mother’s back yard. 45 miles north of Pittsburgh PA near the banks of the Kiski minnetas.. My technetics 4000 whistled like no whistle I’ve ever heard, 12 inches later I uncovered what I thought to be a rusty old gun. Was scared and excited all at the same time. The piece seemed heavy so I thought I’d have my brother take a look , after an hour or so he brought it back and assured me that it was a gun. He had it soaking in a solution and told me to let it soak for a couple days. Me , being the biggest Tom girl ya know, had to show off my piece to some friends, one friend I’ll call les, wasn’t convinced it was a real gun. 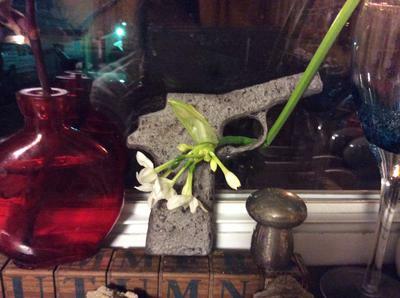 He offered to take it to his shop and sandblast it, well , my find turned out to be a gun mold of a 1911 colt made in 1936. I believe the Johnstown flood of 36 may have sent me my buried treasure. I’m a die hard, Weather was nice up until two weeks ago, ! Winter is killing me, for I hate to miss a day digging, that’s why I’m leaving for a two week adventure. Heading down to the Carolinas and finishing in the keys, guaranteed I come home w a ton a treasures! Hope you enjoy my pic, I had several people offer me $$$$$ for my prize piece, I’ll never sale any a my treasures! I’ll bury em if I Eva run outta rooooom! Santa brought me an AT GOLD, loooookoooutt Florida Keys , I’m coming to find your buried treasures! Thanks for posting your story Dee. I can imagine how you felt when you uncovered that Colt. I found a 38 pistol all rusted and crusty. It was from the Mafia days when they controlled this area I'm in. I would guess also the flood was what delivered your find to that area. There's no telling what lies beneath the ground there. Thanks again, and good luck in the Carolina's. Join in and write your own page! It's easy to do. How? 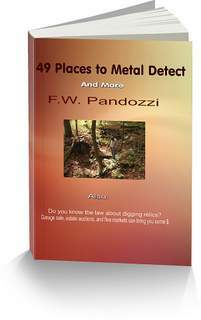 Simply click here to return to Share Your Metal Detecting Story.